Repel birds with a maintenance-free versatile solution! 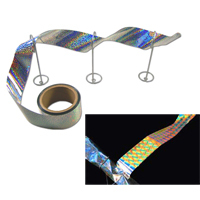 Irri-Tape iridescent foil combines holography, wind and light to irritate pest birds' senses and create an 'off limits' zone against them. 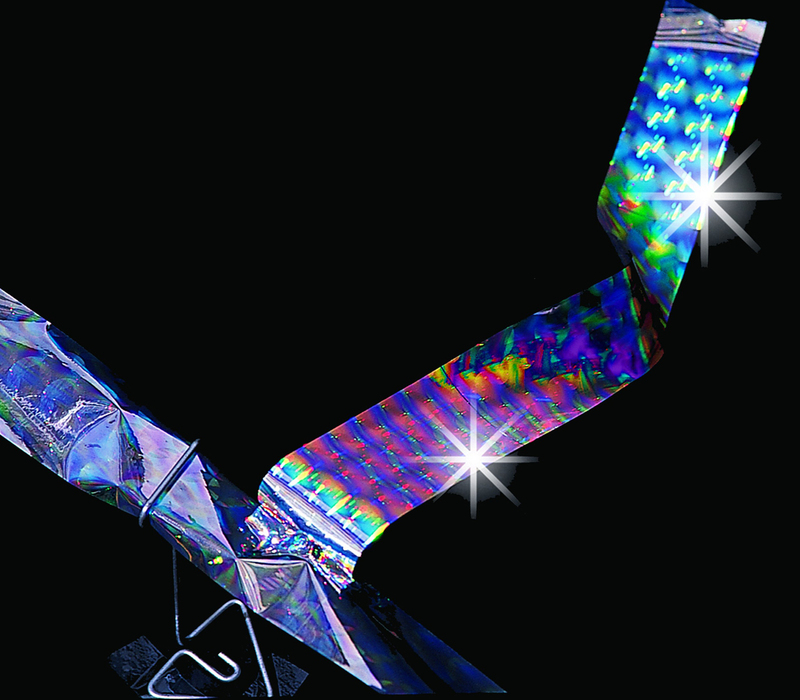 Irri-Tape is a ribbon of polyester film that has been holographically printed. The 3-dimensional UV-light-treated holographic surface reflects the colors of the spectrum with laser-like intensity. Irri-Tape measures 2" wide by 0.002" thick and comes in rolls of 100' and 500'. It's a Visual Deterrent - Irri-Tape 'flashes' as it moves with the wind. Sunlight, or any bright light source reflects off of it producing constantly changing colors and patterns. This brilliant, flashing 'ripple effect' is picked up by the birds as an unsettling danger signal. Whether seen as a predator (from a distance Irri-Tape has a reptilian sheen) or a rival for food or space, birds will not ignore this potential menace. The result of an effective deployment of Irri-Tape is to keep unwanted birds away for a variety of reasons. Hostile Sound Environment - Pest birds are 'rattled' by the fierce metallic noise the material gives off when caught by the slightest breeze. 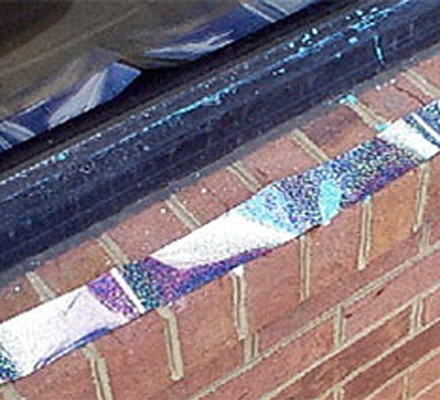 Physical Barrier - Applied along a ledge, fence, balcony railing, or other narrow surface Irri-Tape prevents access to preferred 'landing strips' for birds. Recommended for any area with access to light &/or wind . 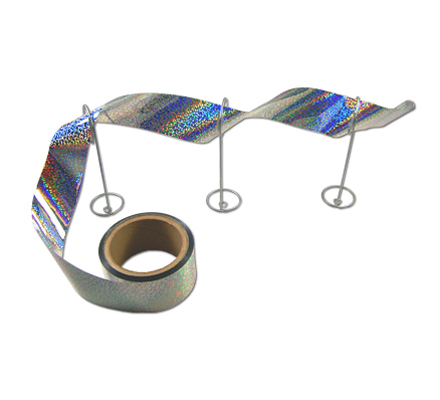 CAUTION: Irri-Tape uses metallic diffraction foil – while ideal for all freshwater applications, this product is not recommended for use on or near salt water. Prolonged exposure to saltwater spray may shorten product life. It is not recommended that product be affixed with screws or nails as the ribbon can shred. 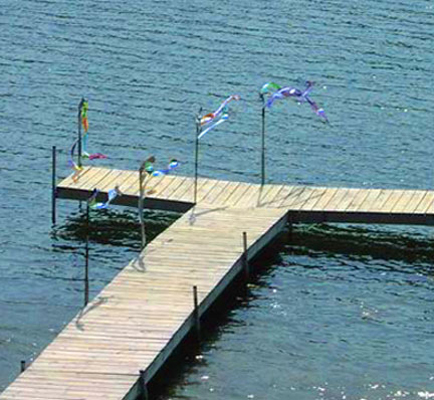 Tie product to surfaces, or use brackets included with 100 and 500 ft kits. For open outdoor areas - 'maypole' six to ten eight-foot lengths of Irri-Tape by tying them to the top of any upright post. For farms or gardens - Irri-Tape has many applications for protecting crops from bird damage. Spiral it around Freestanding trees from top to bottom. Or suspend it over vines and around row plantings. 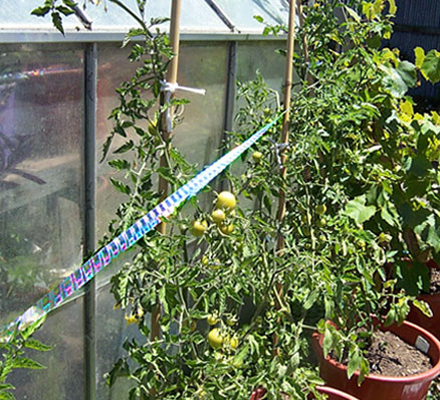 Entire garden areas may be protected by hanging Irri-Tape from 6' to 8' poles to form high row deterrents.